Brazil line-up: Julio César, Marcelo, David Luiz, Thiago Silva, Rafinha, Fernandinho, Paulinho, Oscar, Neymar, Hulk, Fred. Neymar found his best form with Brazil this Wednesday night, leading his country with a hat-trick into a clear 0-5 win against South Africa, in Johannesburg. Brazil opened up the second half scoring again and it would be Neymar burying it again. The 21-year old was assisted by Fred this time and then lobbed the ball over South Africa‘s goalkeeper, extending the lead into a 3-goal cushion. The “Canarinha” was turning things look too easy for themselves and the hosts simply had no response to their football. The 4-0 came in with 79 minutes played in the game, in what was probably the best goal of the afternoon. Manchester City‘s midfielder Fernandinho recovered a bouncing ball deep in South Africa‘s half, set himself up with enough space to try his luck and scored a true screamer from almost 30-yards out. Terrific goal from the Brazilian midfielder who just arrived to Europe in the beginning of this season. 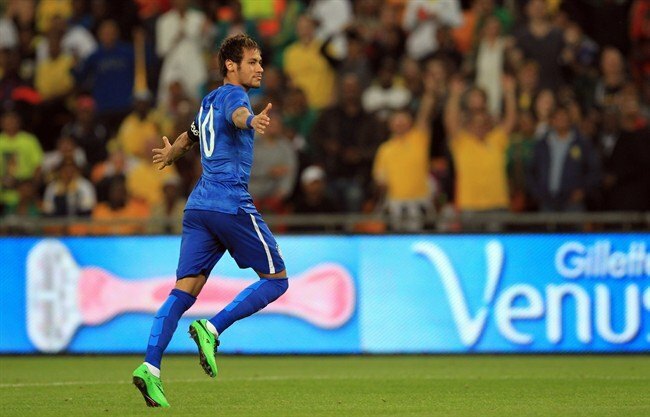 The count was sealed by Neymar, who got to complete his hat-trick when we were already inside stoppage time. Jo‘s was in the right place to meet a cross made on the left, passed it over to Neymar a few meters next to him and the Barcelona forward didn’t miss his chance to score another from such a close range. Easy win for Scolari‘s men and Brazil is looking strong now that we are roughly 100 days away from the 2014 FIFA World Cup kickoff. 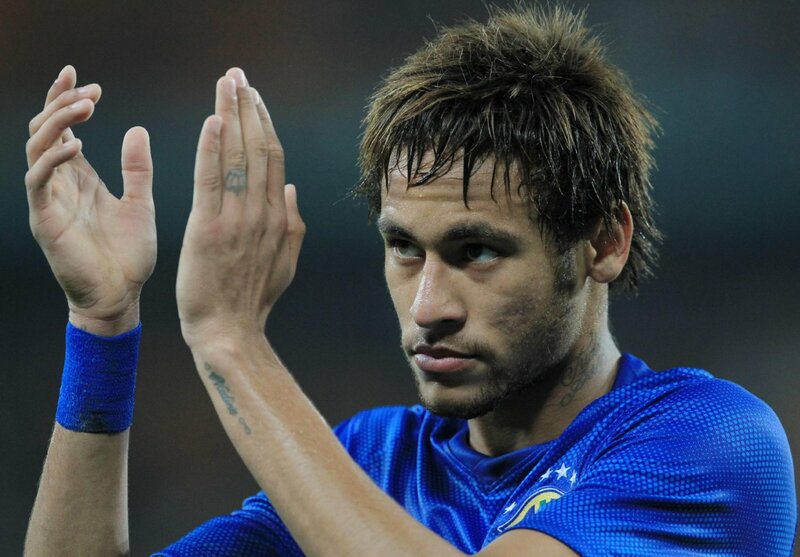 Neymar will now return to Barcelona in order to start preparing his teams next game against Real Valladolid. You can watch Valladolid vs Barcelona live at Ronaldo7.net, this Saturday evening. As for Brazil, their next friendly to keep preparing their World Cup campaign will take place on June 3, against Panama.